How do I contact PHRF-LE? How do I join PHRF? How come when I call the PHRF office I can’t talk to a real person? PHRF-LE is run by volunteers with a part-time secretary. Phone calls are answered within 24 hours. The secretary is not authorized to make handicapping or policy decisions. 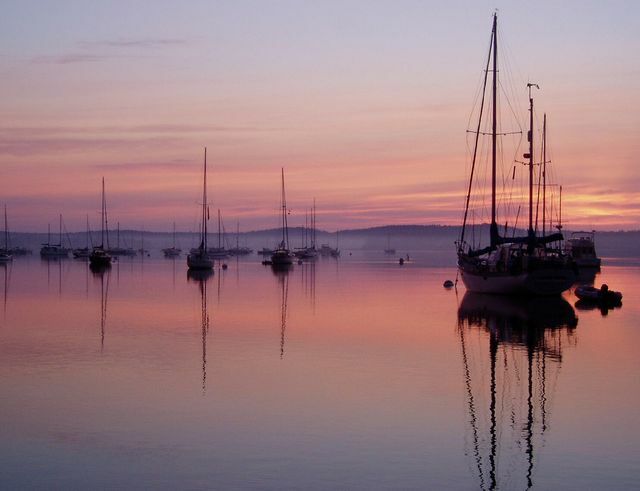 Email is the best way to communicate with the PHRF office. Email Address is phrfle@gmail.com. Renewals are sent annually between February 15th and March 5th by email and regular mail for those without email. How is the committee organized? The committee consists of volunteer handicappers representing a geographically diverse group of racers. Handicappers are experienced racers who actively participate in the sport. Area handicappers, although members of individual clubs, represent the racing community as a whole. Club Measurers perform boat and sail measurement duties and assist handicappers as needed. How long does it take to get a rating? Normally ratings for boats in classes currently in the database are sent out within 1 week of receipt of a check and completed/signed measurement form. Discrepancies in boat measurement and incomplete filling out of the form will delay the process. If your boat class has not been rated, the chief handicapper will assign a temporary rating which is valid only until the next scheduled committee meeting. I am always at the back of the pack, how come my rating doesn’t change? 1/4 of all ratings and all new ratings are reviewed annually. The ratings are not based on the singular race record of any individual boat but on the observed performance differences of a class of boats to the base boat in the 4 rating bands. The base boats are: J-35(72), Tartan 10 (126), Tartan 30 (171). Ok, to put it another way, how come it’s always the same boats winning at my club? With a one number handicapping system it is difficult to derive a handicap that is “fair” in all conditions for dissimilar boats. Variables such as prevailing wind and wave conditions, boat preparation, sail condition and inventory, crew experience, helmsmen skill, course distance and layout all contribute to finish positions. Look at any competitive one-design fleet and you will see the same people winning most of the time with the same backmarkers most of the time. Basically any class of boats can appeal their rating after 10 invitational races or 20 club races but no more than once in a racing season. Members can also appeal the rating of their competitors boats. Appellants are asked to fill out the standard appeal form available from the PHRF office, their local handicapper, or the PHRF-LE web site. Additional information such as race results, competitor statements, handicapper statements, rating comparisons and designer statements are also helpful in the appeal process. Appeals are accepted from October 1st to April 1st. Appeals can be submitted by email and need to be sent in 30 days before the next PHRF meeting. Any member has the right to make a personal presentation of his written appeal provided that he notifies the PHRF office at least 30 days in advance. Decisions of PHRF-LE can be appealed to the National PHRF committee through a defined process (Check with PHRF-LE office for details). No, PHRF-LE acts only as a handicapping authority. Hey, I know my competitor has modified his boat and it carries the same handicap, how is that? Unreported modifications are grounds for suspension of a PHRF certificate. PHRF members should exercise the Corinthian spirit and report all modifications of their boats. When in doubt, report. Check with your handicapper on what is permitted. My buddy is racing at the club without a PHRF certificate, how can he have a rating? Most clubs require valid PHRF certificates for club racing. It is up to discretion of your club to make sure those racing have valid certificates. According to USSA Rule 87 and PHRF-LE Rules Section 7.8, if the race is open to members from other clubs, then all boats must have a valid certificate or they must be assigned to a cruising class. Hey, I was in a race with Jam boats and Multihulls, do the corrected times correspond? JAM ratings are different than PHRF ratings and reflect the downwind efficiencies of various rig types. JAM ratings do not correlate to PHRF ratings for overall results. Multihull ratings are derived from a different base boat than monohull ratings and in no way correlate to PHRF-LE ratings. PHRF-LE Multihull is a separate organization and has no affiliation with PHRF-LE. What does it cost for a PHRF certificate? Annual dues are $35.00 if paid before May 15th Renewals received after May 15th and for the rest of the season will be $50.00. New applications/ratings are $35.00. PHRF-LE maintains reserves equal to or slightly greater than 1 years operating expenses. Current operating expenses run about $20,000 per year. How many members are in PHRF-LE ? The 2017 membership was 484. I saw USSA’s national PHRF book, the ratings for several boats are quite different, how come? All PHRF areas in the US operate autonomously. Various areas use different handicapping methods including rating race results and skipper handicapping. Some areas arbitrarily add 20% to the ratings. Some areas do not do any handicapping but use an average of a class’s ratings in the national book. Other areas rating reflect prevailing local conditions which favor various classes of boats. How do I apply for the Cruising Class Credits? A cruising credit application should be sent to the PHRF office along with the sail measurement form from the sailmaker. The purchase of a new roller furling sail requires re-application. What is the intent of the Cruising Class Credits? To more fairly handicap boats that have roller furling and other cruising configurations. Can I switch back and forth from cruising credit ratings during the season or from race to race? The short answer is no. The long answer is that you are entitled to petition the committee to change your designation once during the season. Your new certificate will be issued and will become effective when you receive it. This process can take up to 6 weeks during the racing season. Can I change roller furling sails during a race? Yes and no. Yes, if your boat is rated with a 3 second cruising credit you can switch from your largest qualifying headsail to your 110% or less qualified roller furling sail. 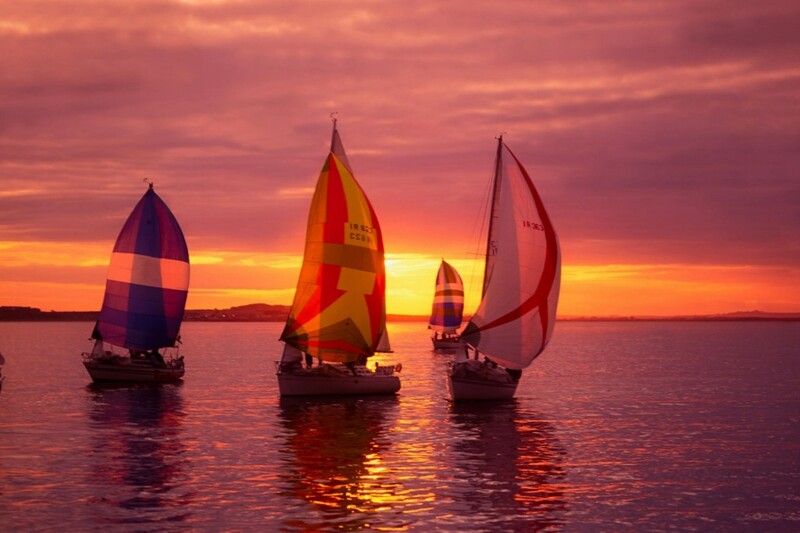 No, you are not entitled to switch to a deck tacked sail, hanked on sail, or sail which does not meet the cruising credit requirements for sail measurement and method of flying. Do I have to roll up my sail on the furler or can I drop it to the deck? As long as the sail is capable of being furled and meets all of the other cruising credit requirements, you can raise and lower the sail hooked up to the swivel and drum. This is a common practice when flying the spinnaker. On some boats the roller furling swivel presents a geometry problem in respect to the spinnaker halyard. Raising and lowering the sail is sometimes the only means to avoid fouling the spinnaker halyard on the roller furling swivel. I have a fixed prop in an aperture, why can’t I get the fixed prop credit? The rule only allows for a credit for fixed props in an exposed strut. Most fixed props in apertures have less exposed surface area than folding/feathering props in struts, hence no credit. Some of the guys in my club have pretty hot looking roller furling sails, why a credit? 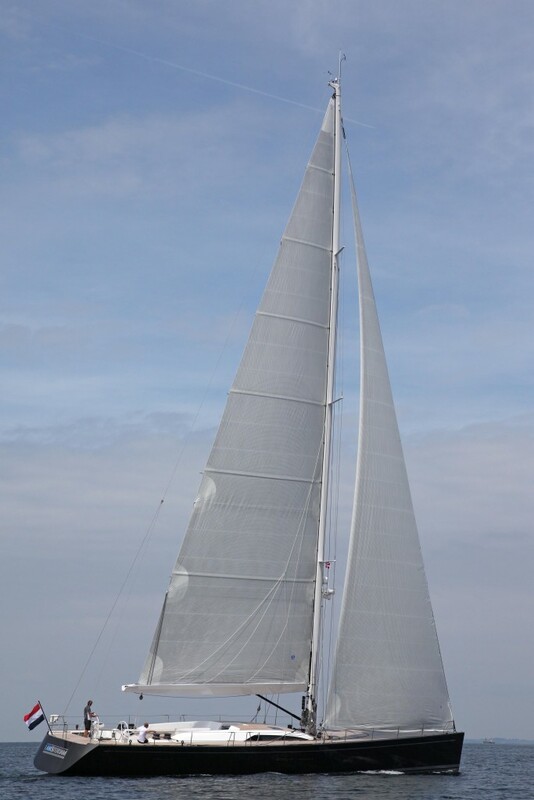 The PHRF committee took into account the reduced area of a roller furling sail and the increased weight aloft. The big difference is approximately 1-1/2 feet in the luff, considerably less foot roach, and the fact that the center of effort of the roller furling sail is higher causing more heeling. The windward performance of a boat suffers considerably because of these factors. The quick way to tell if a competitors sail meets the measurement rules is to look at the clew height and foot roach. The roller furling sail will have a high clew and the foot roach is generally near the top of the life lines as opposed to sweeping the deck. I applied for credit for my solid MAX prop, how come I didn’t get a credit? There was some confusion about the designation of a solid prop. A clearer description would have been fixed prop. Your MAX prop is a feathering prop which does not qualify. A solid prop is defined as a prop in which the blades are in a fixed position, they do not fold or feather..
© Performance Handicap Racing Fleet of Lake Erie.